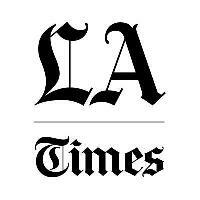 The Los Angeles Times has hired Pedro Moura as a sports writer. He begins Feb. 15 and will cover the Los Angeles Angels baseball team. Moura comes from the Orange County Register, where he had served as a sports reporter since January 2013. Prior to that, he worked at ESPNLA.com covering USC Trojans athletics. For more local sports updates, follow the LA Times on Twitter. Some personal news: I'll be the new Angels beat writer for The Los Angeles Times, and I'm very excited about it. I start the 15th.